The national average price for ten of the 14 kharif crops covered under MSP remained well below the much advertised minimum support price for 2018. A report in The Wire, citing Agmarket portal, calculates that farmers have lost over Rs 1,000 crore in October alone, due to the lower market prices. MSP is the minimum price at which the government will procure the crops from farmers, so that market prices do not fall below this level. While announcing an MSP is one thing, it is essential to procure the crops in a timely fashion if the farmers have to be protected from depreciating prices. While it’s easy to announce historic minimum support prices, its a betrayal if there is no effective mechanism to procure the crops when distressed farmers want to sell their crops to the government. The government agencies have failed to procure adequate stocks to avert a market depreciation. An article in the Financial Express records this issue. The falling prices, the lack of proactive support from the government and limited formal low interest credit, especially to small and marginal farmers, ihas beens aggravating the agrarian crisis year after year. The oil rich Gulf countries have attracted many migrants, including a large section of Indians, to work in factories and real estate developments. The remittances from these migrant workers have been a great source of revenue for families as well as to an export deficient Indian economy. These remittances, amounting to nearly $210 billion in the past five years, has even propped up the Indian rupee through difficult times. However, most of these workers toil in appalling conditions. A report from Commonwealth Human Rights Initiative (CHRI), using RTI data, reveals the true extent of the crisis. Over the last six years, over 25,000 workers have died in the Gulf countries. This amounts to nearly 117 workers dead for every billion dollar we have received as remittance. The deaths are only the extreme symptom of a larger malady, where workers are forced to work with little protection from local laws or parent country’s embassies. Some effort has been made in Qatar, with both governments working towards policies that will ensure safety of workers, however it is clear that the region remains a dangerous yet lucrative terrain for Indian workers. Apparently, the authorities have listened to the VHP and decided to issue ID cards to all the migrant workers so that “no communal flare-ups happen”. These migrant workers are the probably the least powerful group in the state and to make them responsible for the communal violence that the VHP is generating against them is a cruel irony. A June notification from the AICTE, which governs technical education in India, modified the student-teacher ratio from 1:15 to 1:20, citing declining admissions. It’s unclear why declining admissions necessitate a change in a student-teacher ratio as by definition, a smaller student body will mean lesser professors are required. 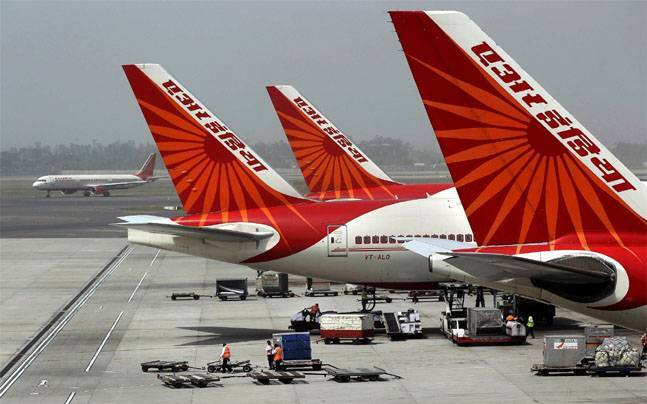 Workers of Air India Air Transport Services Limited (AIATSL) in Mumbai struck work on November 8 in solidarity with three co-workers whose contracts were not renewed, according to The Hindu, and also to protest non-payment of Diwali bonuses. As a result, over 30 flights, both domestic and international, were delayed by several hours. The strike was called off after the management reached out to striking workers, and everything was “sorted out”. There has been no confirmation about whether their demands were met. Maintaining its impeccable record against the ‘freedom of strike’, the Madras high court once again ruled that a proposed strike by Ambulance workers of GVR EMRI was illegal under ESMA as the public-private ambulance service has been declared as a public utility. The workers were demanding that they be paid a 20% bonus and had declared their intention to strike work on November 5, the eve of Diwali. Citing last year’s order which had ruled the strike as illegal, the high court acknowledged that such strike calls have become a regular feature during Diwali. However, news reports are silent as to what the judges had to say about resolving the demands of the workers. Indian economy continues to bleed jobs even as it remains the fastest growing major economy in the world. The latest report by Center for Monitoring Indian Economy, has estimated that unemployment in October 2018 reached 6.9% of the work force, with work participation rate falling to near 40%. This is the lowest in the last two years, indicating that even as financials and GDP seem to be on the recovery, employment is reeling under the effects of demonetisation and other structural reforms. Drivers attached to Ola and Uber, the majors in India’s growing gig economy, were on the strike path in major cities last week. They were demanding the end to unstructured pricing and a state regulated tariff fixation. This comes in the backdrop of falling incomes, higher operating costs and unachievable targets for incentives that is forcing the drivers into debt. Financial articles indicate that the distress of these workers might be an intrinsic consequence of business model of the gig economy, where even the majors like Ola and Uber continue to make losses, eroding their net worth. BJP defeated the long reigning left government of Manik Sarkar in Tripura, promising change. After pulling down the statue of Lenin, a symbol of working class leadership, the government had moved ahead to denotifying May Day from the list of holidays. While the opposition, as predictable, has decried the move, it is largely symbolic as only the creamy layer of the working population are in the formal sector, who get to enjoy such privileges. However, the symbolism involved is clearly ‘anti worker’. It might not be long that such tendency is also revealed in labour policy to the detriment of the workers. It’s been over six weeks since the strike began in Yamaha factory near Chennai. The strike was a consequence of the arbitrary dismissal of workers, allegedly for attempting to form unions. Though the workers have been willing to return to work if the dismissals are revoked, the company had been intransigent, even refusing to engage in conciliation talks. However, after meetings called by the collector of Kanchepuram, the union representatives have reposed hope that the issue will be resolved amicably in the next week. The next round of talks has been posted for 14th Nov. however there has been no progress in talks between workers of Royal Enfield and MSI, with their respective managements. The three concurrent strikes in the auto hub of Tamil Nadu had made headlines across India. Union cabinet gave its consent to the MoU signed between India and Italy to collaborate in training and education of workers. This would entail a number of joint training projects as well as evolving methodologies and tools to improve workers skills and compatibility to be employed globally. The collaboration is intended to enhance the technical capabilities of V.V Giri national labour institute and expand its outreach, said an official statement. Minnesota’s new Governor, Tom Walz, is a high school teacher and a member of Education Minnesota, a joint collaboration between American Federation of Teachers (AFT) and National Education Association (NEA), and he is the highest ranking elected official among his fellow unionists. Several other union members, many of whom are teachers and also from iron workers, painters, and electrical workers unions, have “won public office nationwide, from Congress down to county commissioner”. A criminal court in Iran sentenced 15 workers to “between a year to two and a half years in prison and 74 lashes for disrupting public order and instigating workers via the internet to demonstrate and riot after strike action against unpaid wages in May this year”. 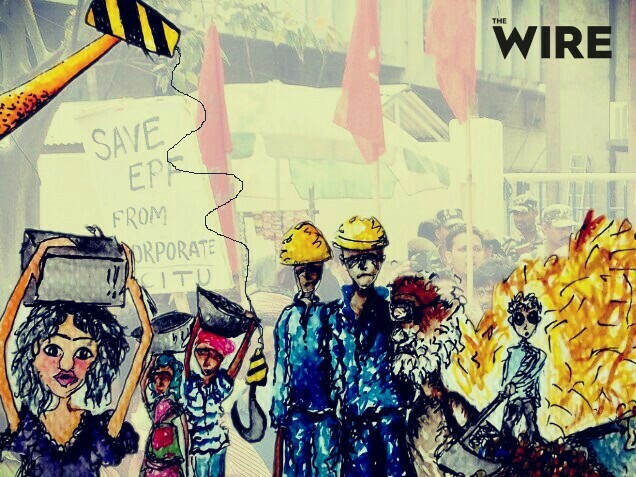 HEPCO is a heavy industries manufacturer that was privatised and then bailed out by the government after it was mismanaged and then privatised again. The company produces parts under contract for behemoths like Volvo and Komatsu. But the workers have been forced to strike as conditions worsened, employee numbers dwindled and their wages were delayed. The courts taking such strict action is a move meant to strike fear into unions fighting for workers’ rights. Various Chinese media organisations have reported some heinous labour practices in recent times. An employee of a home improvement store posted on social media about how managers were forcing employees to drink urine, vinegar or toilet water or eat cockroaches if they failed to meet sales targets. The social media posts went viral and the managers have been arrested and put in prison for five to ten days. Other punishments that have come out through social media include being whipped or being humiliated in public. China’s regressive working conditions are not helped by their labour laws which ban independent organising or strikes. This week marks the German Workers’ Revolution, that toppled the German Monarchy, ushered in the German Republic, and brought the end of the Great War, exactly a century ago. A year after the Bolshevik Revolution in Russia, which was yet waging a civil war funded by international capitalism, the German Revolution came with the hope of ushering International Socialism. What happened to this mass workers’ uprising in the heart of advanced capitalism? How did its course shape the future of the world through the 20th century? What lessons did it leave for the 21st century? In this two-part series, published in Left Voice, Wladek Flakin, chronicles and analyses the monumental events of a century ago.